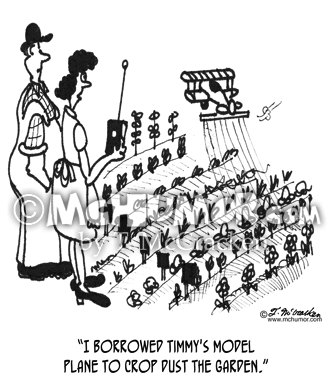 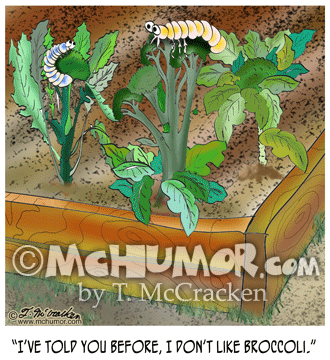 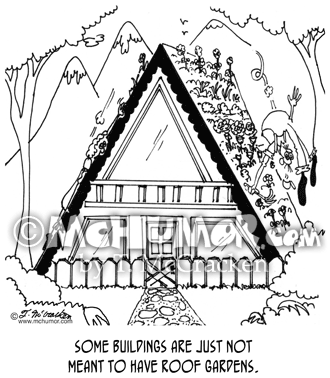 Worm Cartoon 8720: A worm says to another in a garden, "This is supposed to be a deluxe garden bed. 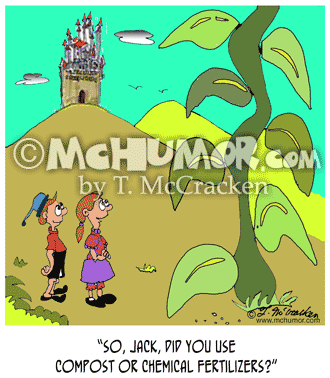 I assume that means it'll include 1,000 thread count sheets." 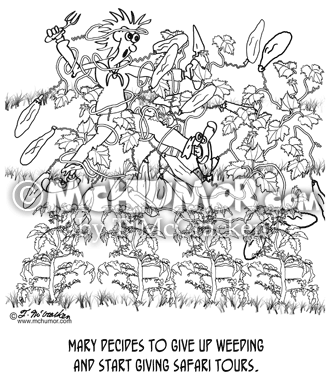 Tomato Cartoon 2085: A woman is crushed trying to carry a humongous tomato. 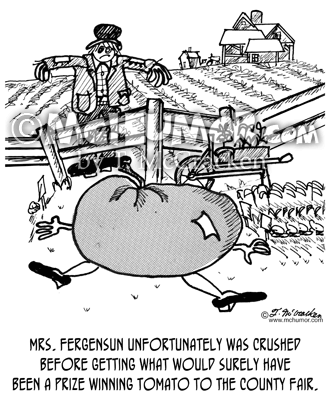 "Mrs. Fergensun unfortunately was crushed before getting what would surely have been a prize winning tomato to the county fair." 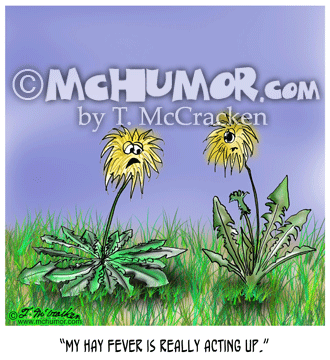 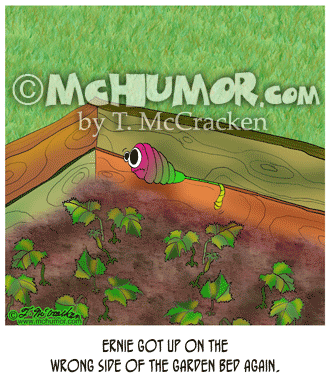 Garden Cartoon 8811: “Ernie got up on the wrong side of the garden bed again." 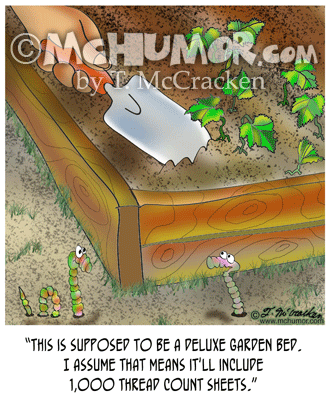 A worm is stuck between the wood in a retaining wall. 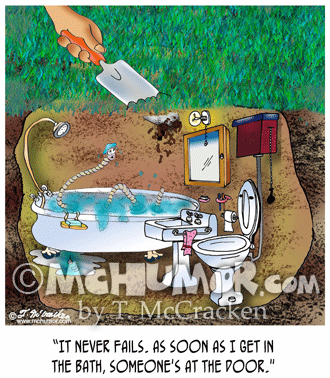 Worm Cartoon 8947: A worm in an underground bathroom looking at a shovel coming through the dirt thinks, "It never fails. 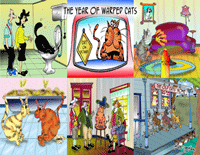 As soon as I get in the bath, someone's at the door."